If you want to take part in next week’s article, just keep an eye on my Twitter account every Thursday when I ask you to send me your questions. I select three for a video preview and then answer the rest right here. Just came back from Chicago. Deep dish or NYC style ?? Easy, deep dish. Last time I was in Chicago I went to a place called Pequod’s that was incredible. I had a deep dish that was life-changing. I think that would be fantastic. Instead of a CCL, top Liga MX and MLS teams could take part in a massive North and South American clubs tournament. The only problem here is if those South American clubs would want to take part in it. Also, what would that mean for the Copa Libertadores or the Club World Cup? Is Galaxy number one contender for the ship now with the addition of Jona? I haven’t watched enough of the Galaxy to have a reliable answer here. I will say no because from the little that I have seen, the team has really struggled. That said, I do wonder if the addition of Jona could help pick up the form of Gio in the attack. Should liga mx adopt the mls all star game and if so who do you have in a liga mx vs mls all star game? I would fully support an All-Star game between Liga MX and MLS! Here is what my starting XI would look like for Liga MX. 4-4-2: Tiago Volpi; Luis Reyes, Oscar Murillo, Omar Gonzalez, Paul Aguilar; Aviles Hurtado, Lucas Zelarayan, Guido Rodriguez, Javier Aquino; Raul Ruidiaz, Andre-Pierre Gignac. Did you ever play Nintendo (NES) or Super Nintendo (SNES) if so which were your favorite games? Unfortunately, I didn’t really play either one of those. My family bought a Sega Genesis instead, so all of the Sonic the Hedgehog games were a huge part of my life when I was a little beardless Cesar. Can @miseleccionmx ever hire someone for an 8 year or 12 year project to ensure success in the future ? Probably not. I wish I could say yes to this but we all know about the pressures of the job. 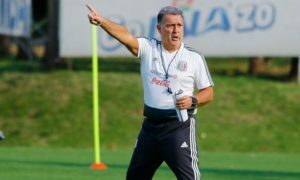 Although I don’t agree with some things he does, I think Osorio is an ideal man for a long-term project. However, I doubt any manager would last up to eight years with the national team…for now. will we ever see players from the U17 WC squad have a career with the national team? Do you mean in general or the current team? 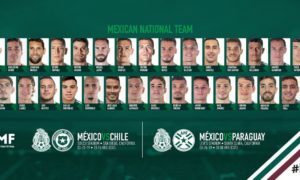 Players like Hector Moreno, Giovani dos Santos and Carlos Vela (who won the U17 World Cup in 2005) have been able to make a career with El Tri, but they are only a few from that squad that are still current regulars with Mexico. If you’re talking about the current squad, it’s all about getting regular first team minutes. Many point to Liga MX signings from outside of Mexico hurting the national team, but I think they help elevate the league. The true problem here is managers not giving chances to young names and the league format. I’ve said this before, but a longer regular season would help give minutes to budding Mexican talents. Will Cruz Azul win the league in my lifetime? Yes. Although Cruz Azul easily has the worst luck in Liga MX, they should be able to. There is a massive amount of parity in the league, and with two champions a year through a playoff format, a title is nearly always up for grabs for several clubs. I’ll go with Pachuca, Atlas or Tigres. For obvious reasons, Pachuca’s superb development program will have a long list of young Mexican players who could help the team. Atlas currently has some decent Mexican starters and Tigres’ roster is filled with some excellent options. 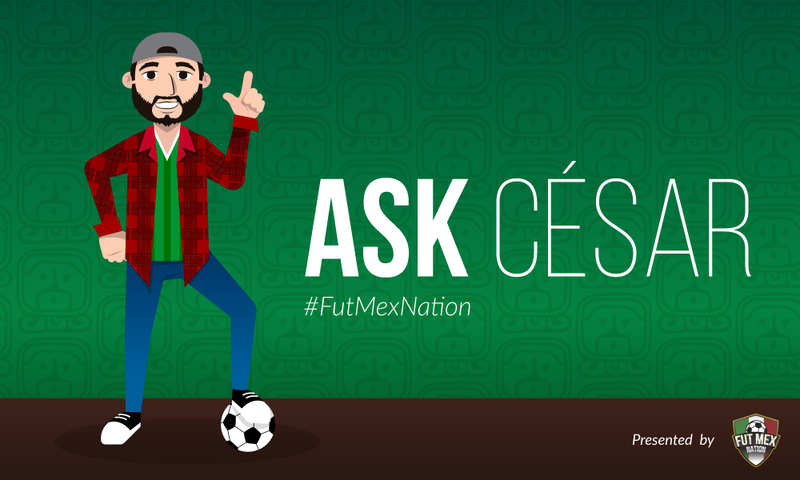 Will liga mx have a 10+ goal scorer this season? He got a red recently, but Enner Valencia is almost halfway there! I say yes. Valencia is up there and I think Nico Castillo or Raul Ruidiaz will also be pushing for that 10+ tally as well. Do you think on a perfect day that the either the current Chivas or Tigres squads could win a club world cup or a Libertadores? On their day, I think a handful of Liga MX clubs (including Tigres or Chivas) could win the Copa Lib. As for the Club World Cup, I’m not sure about that. I still say that those European powerhouses are the easy favorites each year. Do you think Tigres is the best team in the americas? How do you think they would do in Copa Libertadores? Yeah, I have no doubts when I say that Tigres is the most talented team in the Western Hemisphere. I think they could win the Copa Lib as well. I know people will point out that they lost the final in 2015, but the current roster has been improved since then. Haha, that would make my year if that happened, but it wont. I say that he will be in the top 10 with around 13-16 goals. Have @PaulArriola transfer rumors gone away for good? Or is he on his way out of TJ? That’s something that will be interesting to follow. When you see him play, it’s clear why there is interest and I think it will only continue to grow. He will probably stick around for another year but it would be really exciting to see him play abroad. I think he has the talents to succeed out there. 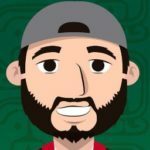 What are Atlas chances at winning the Copa MX? 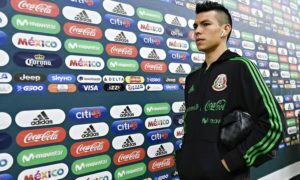 They’re doing very well right now in the Copa MX, but there are too many variables to consider when thinking of favorites of the competition. Will Atlas field their starters later on in the tournament? Will their opponents focus on the regular season instead? Either way, they’re off to a great start and it wouldn’t be crazy to say that they have a good chance. Hurts for Pumas fans. He could have helped that defense, but oh well? Do you think America needs better strikes? Should this be Peralta's last year with America? The return of Cecilio Dominguez should help the attack, but I think America could use a new striker in Oribe’s spot. The problem with him is that every time he starts to slip up, he ends up scoring a crucial goal or finds a good run of form. Buuuuut Oribe is 33 now, how much longer can he keep that pace up? I say that they should look for other options after this season.